The problem is caused by the fact that the STS (the Spring IDE/Eclipse) uses the m2e(clipse) plugin but that eclipse:eclipse has been probably been run on the project. 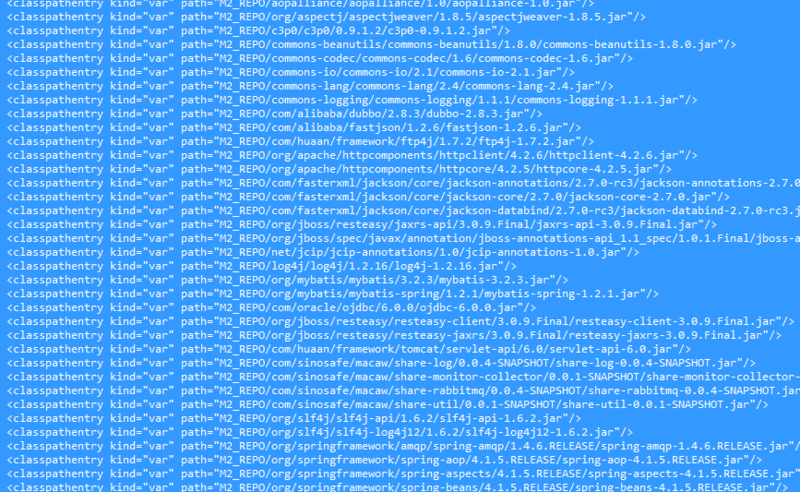 When m2e encounters a "var" .classpath entry, it throws this error. 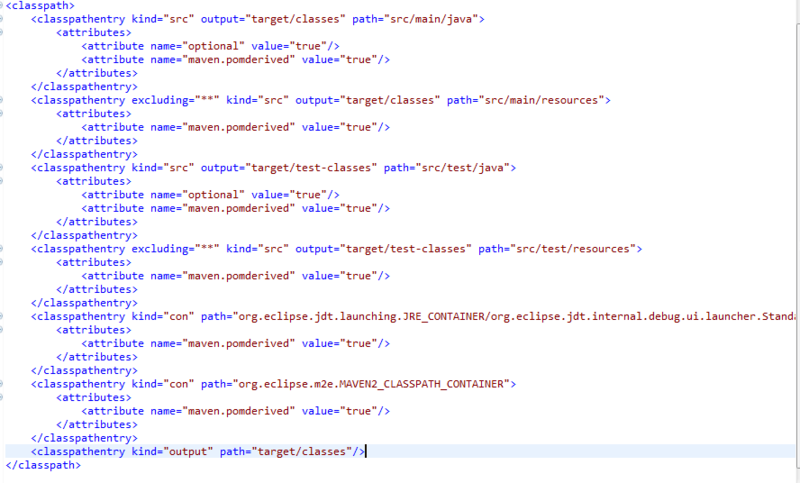 Disable the maven nature for the project (via the right-click menu), run mvn eclipse:clean (while your project is open in STS/eclipse), and then re-enable the maven nature.